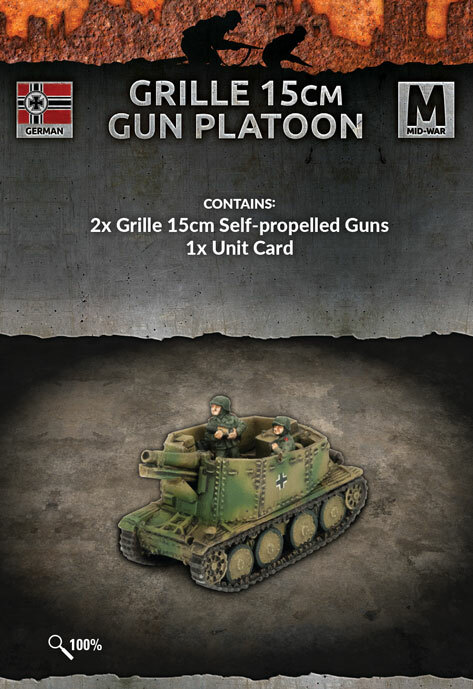 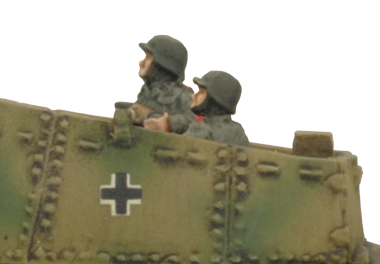 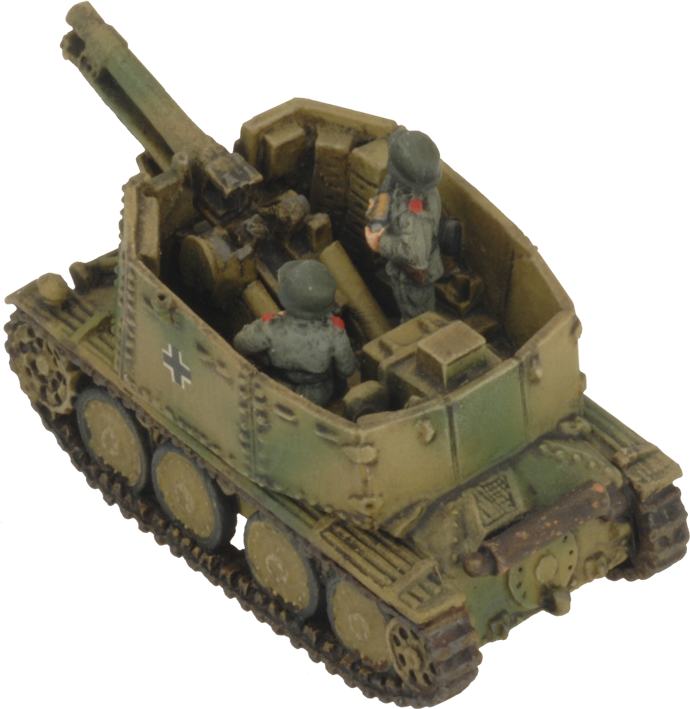 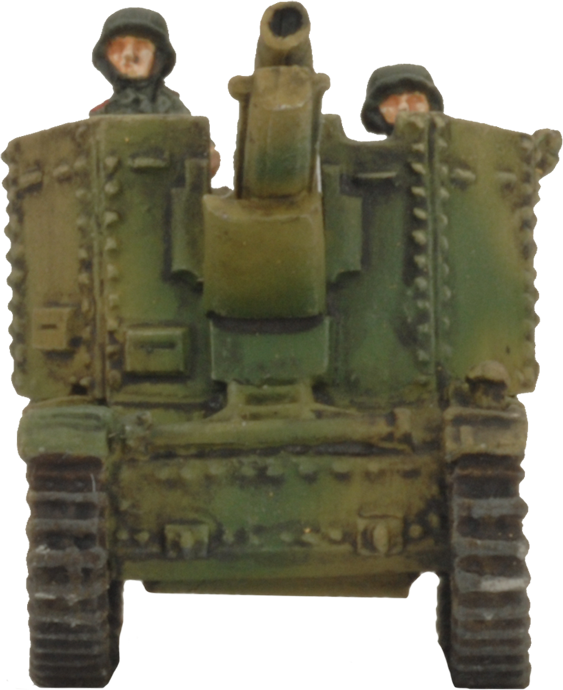 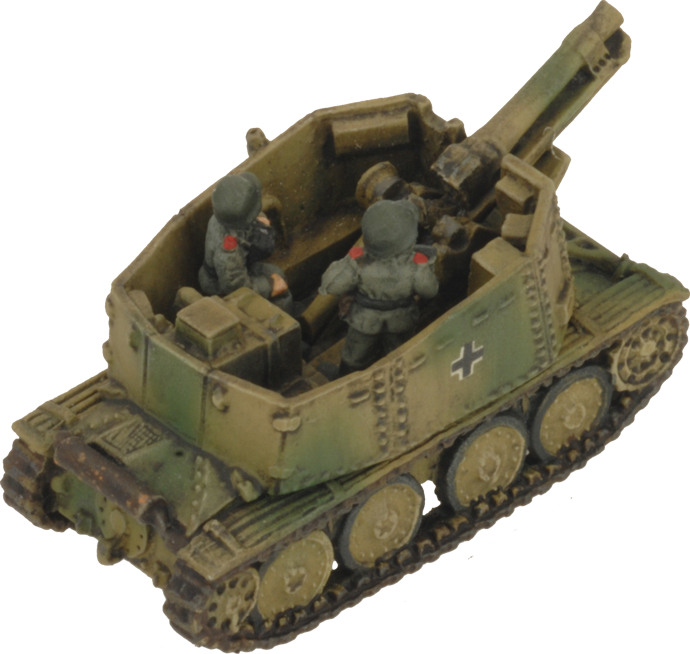 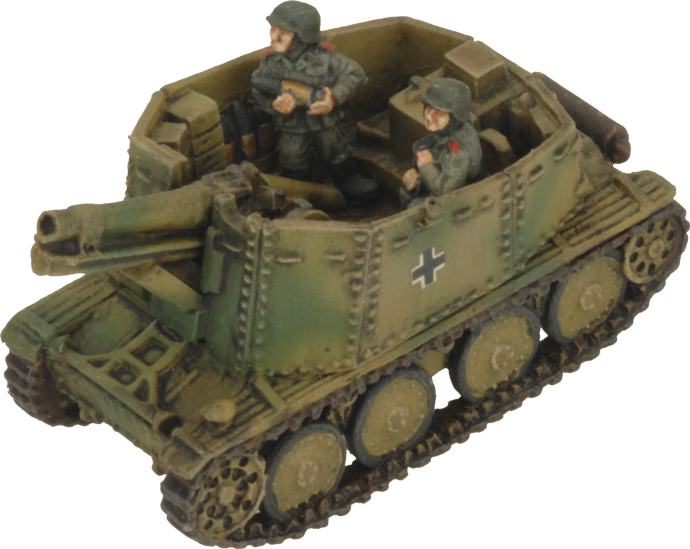 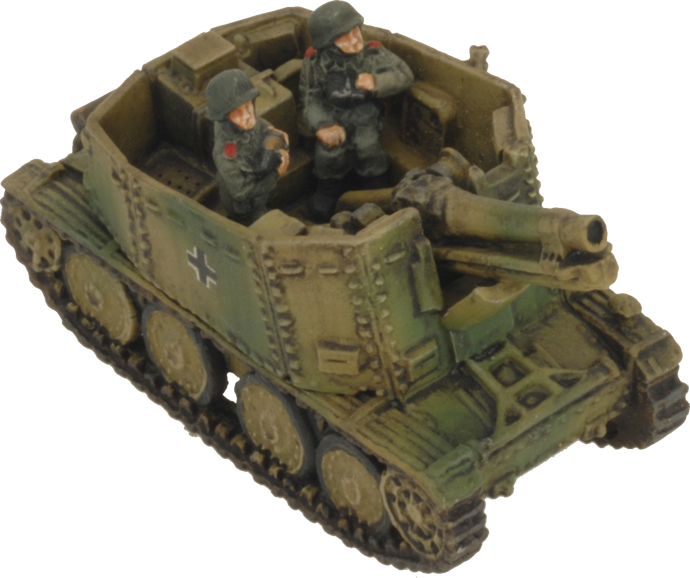 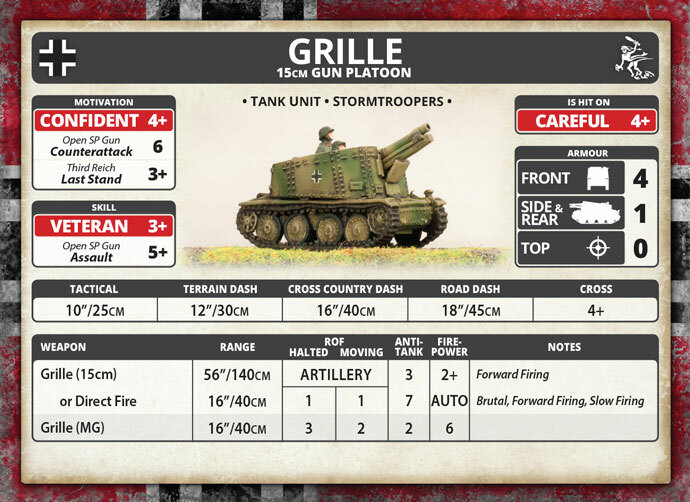 includes two resin and metal Grille 15cm Self-propelled Guns and one Unit card. 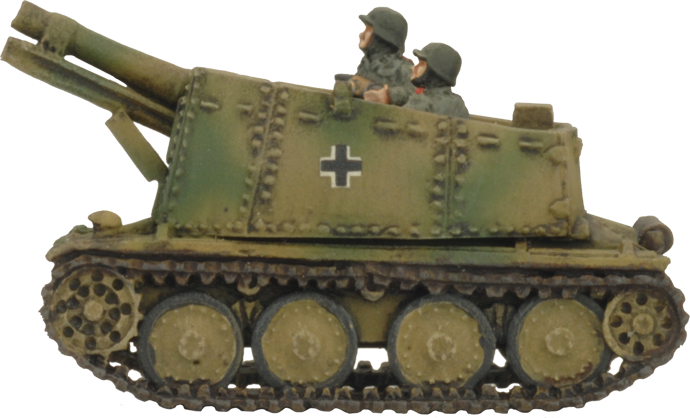 Unlike the lighter 7.5cm infantry gun, the 15cm howitzer couldn't be mounted aboard a Sd Kfz 251 half-track, so instead the Germans experimented with using several different out-dated tank chassis. 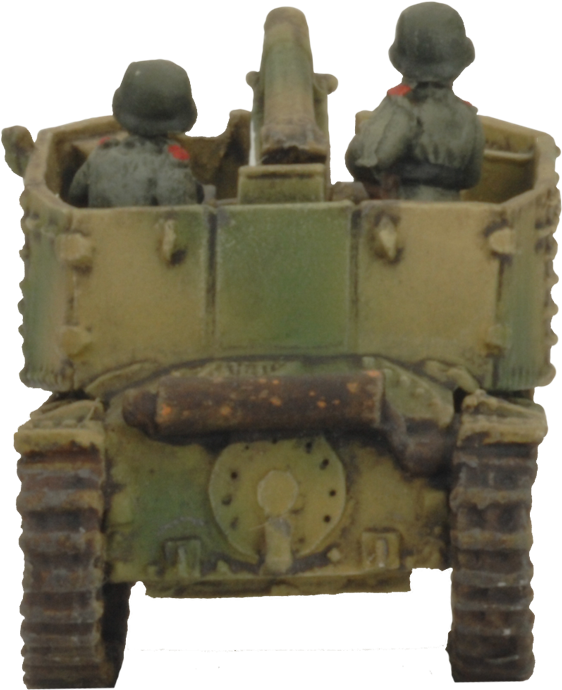 By 1943, the result was the Grille (Cricket) self-propelled 15cm gun. 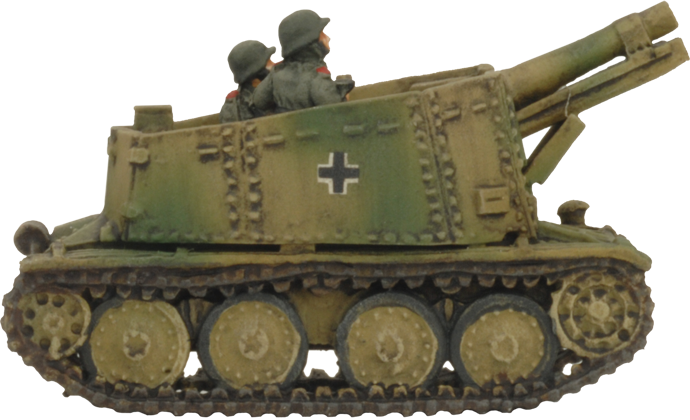 This gave the panzergrenadiers their own high-calibre, mobile guns to shatter enemy strongholds.